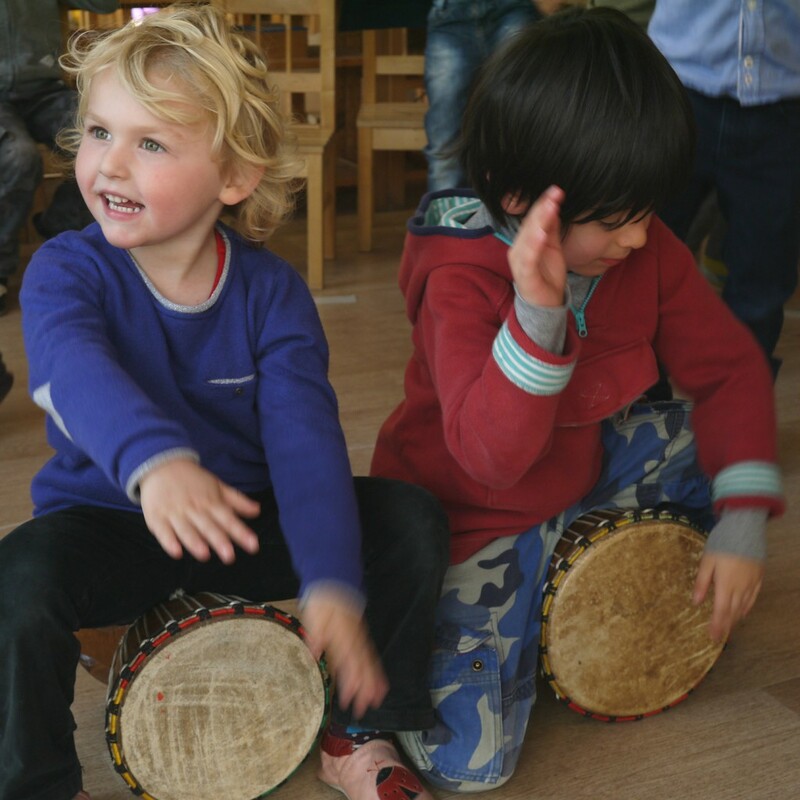 Music is ever present at Jardin des Soleils since we place such an importance on developing the child’s ear. Music is learned in the same manner as a native language or languages at an early age. 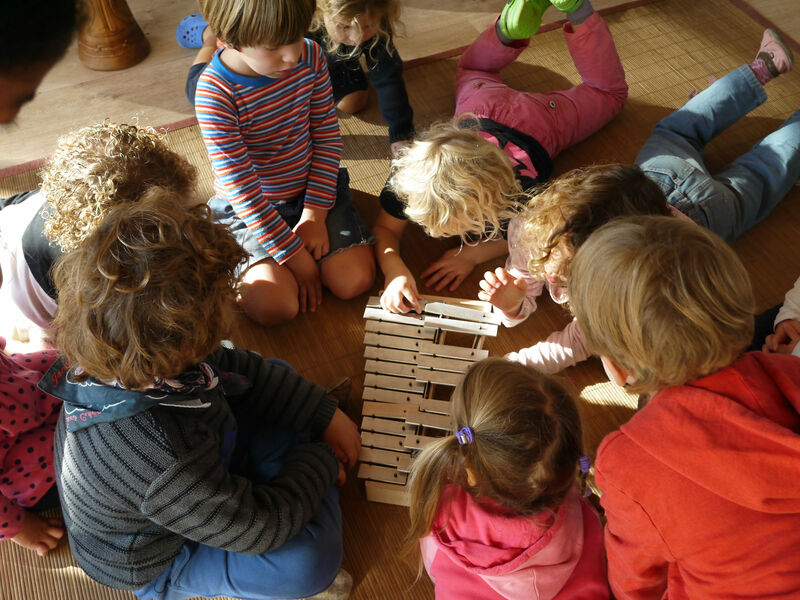 In the classroom, the children have access to Montessori material geared towards learning music. From sound cylinders to bells, they have numerous opportunities to develop and appreciate sound. The children sing every day in English and in French. Song time is always joyful and rhythmic. 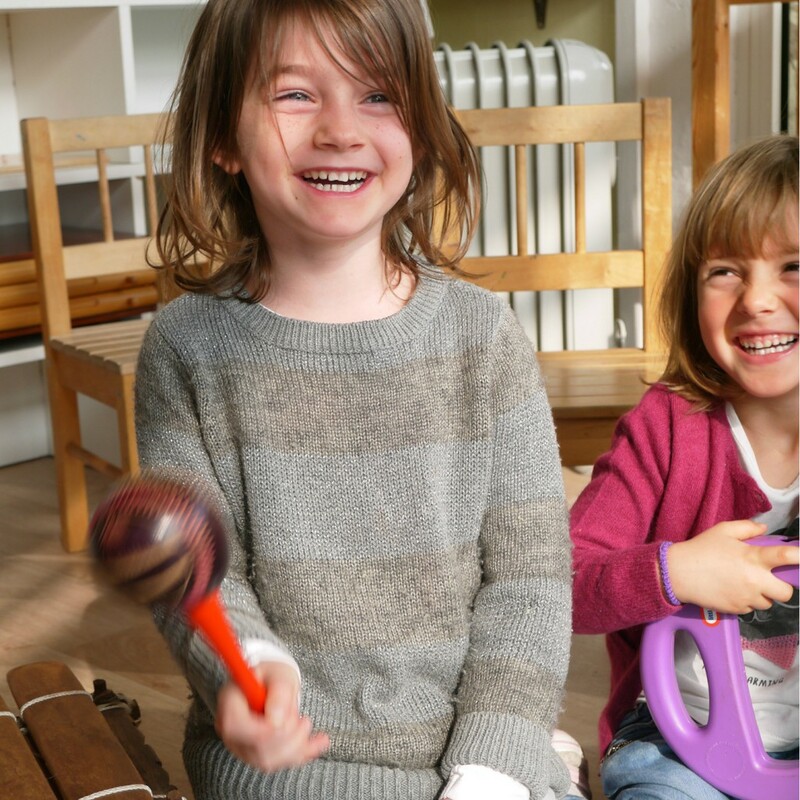 The children also benefit from music classes that teach them the bases of sound and rhythm. 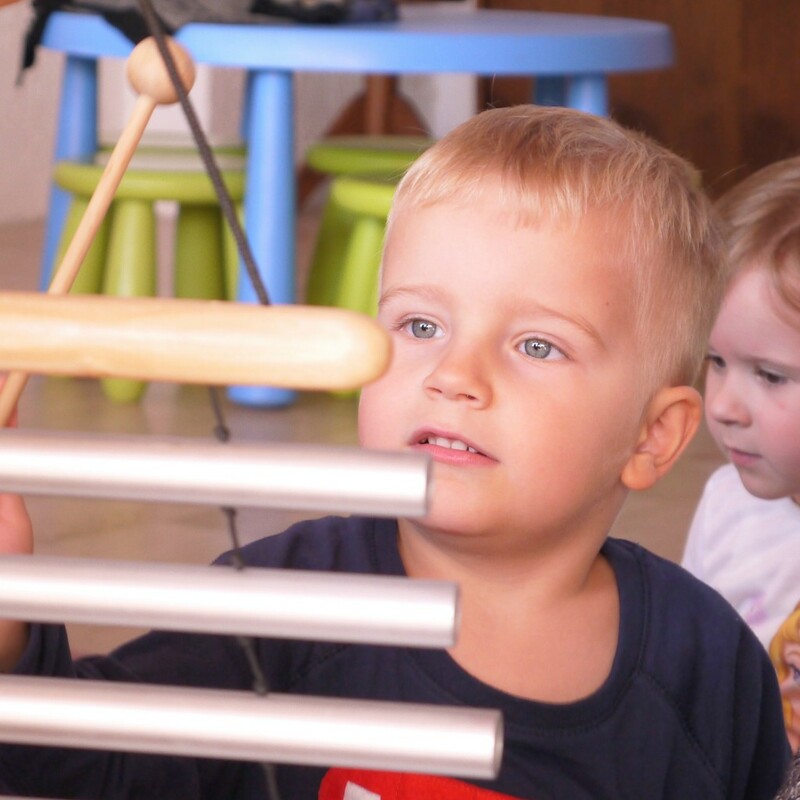 Emphasis is placed on sensorial, oral learning, discovery, interest and continuity, active participation, initiative and the beauty of melodies and harmonies. Through the activities presented as musical games, the children experience music before learning the rules that apply to it. The teacher’s method and guidance are vital. In the Maison des enfants, the children participate in a song writing workshop accompanied by the guitar. Inventing tunes and lyrics about things that are important to them, and then singing their own songs with their classmates is a wonderful experience! Each celebration is an occasion to play musical instruments (tam tams, rain sticks, etc.). Each child can experience the joy of being a musician who creates a lively atmosphere that encourages others to dance. During the year, the school invites musicians to give mini concerts to allow the children to discover different instruments and musical styles. Our goal is to make music joyful and encourage the children to learn it as they would a language, but also as an art and a science. It is through actively making music that they develop their musicality.